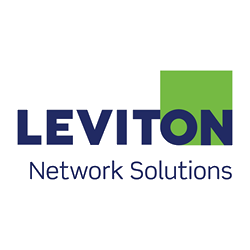 Leviton Access Control System is one of the most advanced systems available in the market. Divide your property into different zones and limit admission to each of these designated areas with card swipes and code entry. What’s better than controlling who enters and when can they enter your premises. Having a daily log of your employees’ attendance is one of the best mechanisms to manage employee performance and business growth. Having this log in your email provides you with the freedom to keep an eye without interrupting your busy business life. Using Leviton Smart Access Control System Products we design the most suitable customised package to match your need. Our engineering and design team would take you in step-by-step design analysis to put together the smartest and cost effective solution, providing you with real value for your investment. When you swipe a card or key tag, you can accomplish multiple functions such as arming or disarming security and activating a door strike to open a door. Access Control products have simplified wiring for for small commercial use – everything between the controller and the readers travels over a single 4 conductor or Cat5 wire, including power. Automate your premise’s visitor management with the latest IngressVMS by FingerTec, designed to provide systematic procedure to manage the coming and going of visitors. IngressVMS simplifiesvisitor registration process with its online pre-registration that provides the tenants with information about the visiting persons before accepting the visit and for the security guards to verify their status upon arrival. By filtering out dodgy visitors, IngressVMS could potentially improve security threats of your premise and at the same time have all the records of past visitors for future audits and reviews. IngressVMS is directly linked to FingerTec’s door access solution Ingress database, and it could track the history route of visitors visiting your premise, leaving nothing lost in translation. Iridium Solutions and Fingertec provide a complete solution with cloud-based management for all of your access control requirements.